After a rollercoaster twenty-five year career as an artist, curator and tastemaker, James Lavelle returns with UNKLE’s fifth studio album, The Road: Part 1 - a collection of fifteen new UNKLE tracks inspired by his curation of 2014’s Meltdown Festival at Southbank, their most successful to date. Following a technical error at the manufacturing plant, The Road: Part 1 will now be released on August 18th. The Road: Part 1 is a collective creative venture with musicians including London folk-rock artist and poet Keaton Henson, Primal Scream’s Andrew Innes, The Duke Spirit’s Liela Moss, long-time UNKLE collaborator Mark Lanegan and Mercury prize nominee ESKA. Lavelle also found new friends and collaborators in Queens of the Stone Age drummer Jon Theodore and Beck drummer Justin Stanley, who make definitive contributions throughout the record. Recorded in UK, Europe and Los Angeles’ Pink Duck Studios, The Road: Part 1 is the product of a desire to create something fresh and innovative, that also celebrates the rich history of UNKLE, and showcases a new wave of talent such as Elliott Power, Mïnk and YSEÉ. The album also features long-term collaborators Philip Sheppard, Chris Goss, Twiggy and Troy Van Leeuwen. Lavelle set out to make a record that tapped into the multicultural landscape of modern London. His mission was to unite the eclectic mix of ideas, cultures and genres under the UNKLE umbrella and create something unique. James Lavelle praises the role of collaboration, and its importance at the core of the project: “I hadn’t made a record in a long time, and the incarnation of UNKLE had changed in that now, it was me on my own. 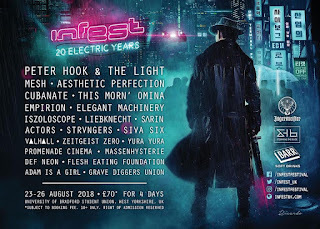 For that reason, I wanted to make a record that I hadn’t been able to before, going back to the roots of where I came from, with a foot in modern London.” In July 2016, UNKLE released their first single in seven years. Lavelle teamed up with Elliott Power, Mïnk and YSEÉ for the gospel infused "Cowboys or Indians". Followed by "Sick Lullaby" in February 2017, his second collaboration with Keaton Henson. "Sick Lullaby" is tender and cinematic, a beautiful lullaby that empowers Henson’s delicate vocals. Creative visual collaborations are a core part of the immersive experience of UNKLE. The importance of the visual experience is an integral part of ‘The Road: Part 1’ and its story. Following the immense success of his critically acclaimed exhibition Daydreaming with Stanley Kubrick last summer at Somerset House, Lavelle continued his collaborative relationship with esteemed artists throughout the creation of The Road: Part 1. This includes cinematic and thought-provoking official videos from artists and visionaries including Warren Du Preez and Nick Thornton Jones (Cowboys or Indians, Sick Lullaby); Norbert Schroener (The Road), and many more to be revealed. Watch the official video for the album’s title track "The Road", directed by German filmmaker Norbert Schoerner, The collaboration follows from Schoerner’s involvement with James Lavelle's Daydreaming with Stanley Kubrick exhibition. The footage was filmed by using a drone to explore the stark American wilderness. Norbert Schoerner and James Lavelle have created a film that in Schoerner’s own words “describes the ever present conflict between natural landscape and human progress”. The masterfully curated list of visual collaborators extends to the physical release of The Road: Part 1. The cover art is from a painting by German contemporary artist Jonas Burgert. The 36-page booklet features artwork by contemporary luminaries including Turner Prize nominee Nathan Coley, John Isaacs, David Nicholson, Norbert Schoerner, Doug Foster, Warren Du Preez and Nick Thornton Jones. It was designed by James Lavelle and up-and-coming designer George Stewart-Lockhart. 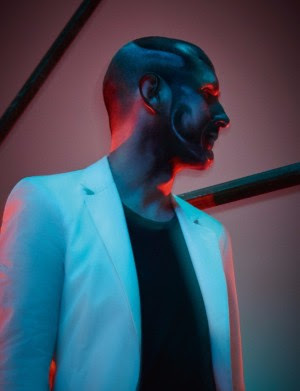 In the twenty years since UNKLE’s debut album Psyence Fiction, Lavelle has been prolific. He created four studio albums with UNKLE (Psyence Fiction, Never Never Land, War Stories and Where Did The Night Fall), a host of critically-acclaimed film scores, and curated a series of art exhibitions through Daydreaming With... most notably, the hugely successful Daydreaming With Stanley Kubrick exhibition at Somerset House, and his latest exhibition Daydreaming with UNKLE Presents THE ROAD: SOHO. The Daydreaming with... exhibitions are inspired by the desire to marry music and the visual arts and aim to create a unique and multi-sensory experience, unprecedented by museum exhibitions or music festivals. Whilst The Road: Part 1 may be their fifth studio album, it is in many ways a new beginning. With shows booked throughout the year in the UK (and hopefully some U.S. dates to be announced) and The Road: Part 2 already in the making, it feels that even after 25 years, the road for UNKLE has only just begun.